Paul’s message in Philippians is essentially the same as Moses in Deuteronomy 30:19-20: Choose life by loving the Lord your God, obeying His voice and holding fast to Him. The author of this letter, the Apostle Paul, first visited Philippi during his second missionary journey. His visit is recorded in Acts 16. Paul and Silas were traveling through Asia Minor. They met Timothy in Lystra and he joined them on the rest of the trip. Luke (the author of Acts) joined Paul & Silas in Troas and accompanied them to Macedonia. As a Roman colony, Philippians had Roman citizenship. Latin was their official language. They adopted Roman customs and culture, and modeled their city government after Rome. Typically, when Paul entered a new city, Paul proclaim the gospel in a synagogue on the Sabbath. Paul went to a “prayer meeting” by the river instead, so presumably there was no synagogue. Lydia, a wealthy merchant, and her household are among his first converts. Paul & Silas were arrested and beaten for proclaiming non-Roman customs. When Paul left Philippi, he left behind a small church, comprised of Lydia’s household, and the jailer’s household plus some others. Apparently, Luke also stays behind. Paul returned to Philippi on his third missionary journey (see Acts 20). For a discussion of why Paul baptized an entire household as recorded in Acts 16, see this podcast. Around 60-62 AD, Paul was under house arrest in Rome. The Philippians sent him a financial donation through Epaphroditus. Paul sent Epaphroditus back to Philippi with this letter of thanks. Paul is grateful that the gospel was so important to the Philippians that they wanted to support him financially. I thank my God because of all the ways you have remembered me, including this financial gift. My prayers for you are filled with joy because of the way you have partnered with me in spreading the gospel from the day we met until now. My joy is rooted in this: God began work in you, he gave you a faith that led you to value and support the ministry of the gospel, and I am confident that he will continue to mature and perfect your faith such that you will persevere until the day Christ returns. It is only right that I have these joyful feelings for you because you have been my partners in this ministry of grace while I have been imprisoned and struggling to defend and confirm the good news. Paul claims his prayers reveal what is most important to him. For Paul, prayer is not a ritual or routine; prayer is an expression to God of what we care about most. Similarly, the way we spend our money reveals what we value and consider important. 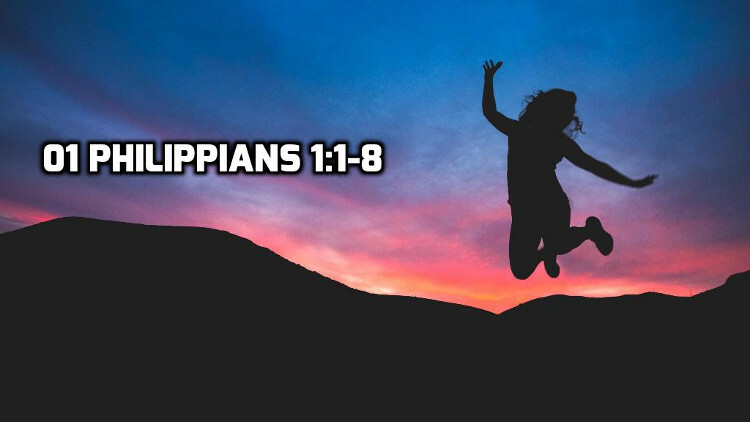 Thus Paul is grateful for what their financial gift reveals about the Philippians. Scripture references are from the English Standard version.